"The ultimate goal of personality psychology is to construct a scientifically credible account psychological individuality. Such an account must situate a person in a biological and cultural context while specifying how that person is similar to and different from other persons." Brilliant TED Talk by Dr. Brian Little, an acclaimed scholar in the field of personality and motivational psychology. 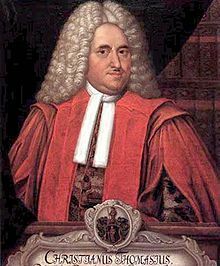 On the 31st December 1691, Christian Thomasius, a German Enlightenment philosopher and jurist published one of the earliest accounts of systematic personality assessment. Originally presented in the form of a letter under the wonderful title 'New Discovery of a Solid Science, Most Necessary for the Community, for Discerning the Secrets of the Heart of Other Men from Daily Conversation, Even Against Their Will;' Thomasius suggested that the key to assessment lies in the ability to differentiate between a person's natural and affected feelings along with the knowledge that people resist overt displays of crude emotion. 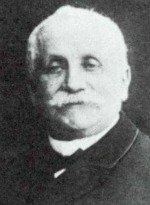 Building on his work in a later publication, Thomasius produced the first quantitative psychological rating scale based on four inclinations: 1. Rational love (Vernünftige Liebe), 2. Sensuousness (Wollust), 3. Ambition (Ehrgeiz), 4. Acquisitiveness (Geldgeiz). Thomasius believed that we all possess these inclinations to a greater or lesser extent and that one of the four will always be dominant. In order to measure individual differences Thomasius allocated 60 points to the strongest inclination, a minimum of 5 points to the weakest inclination and scored the two remaining inclinations by calculating the difference between the highest and lowest scores. 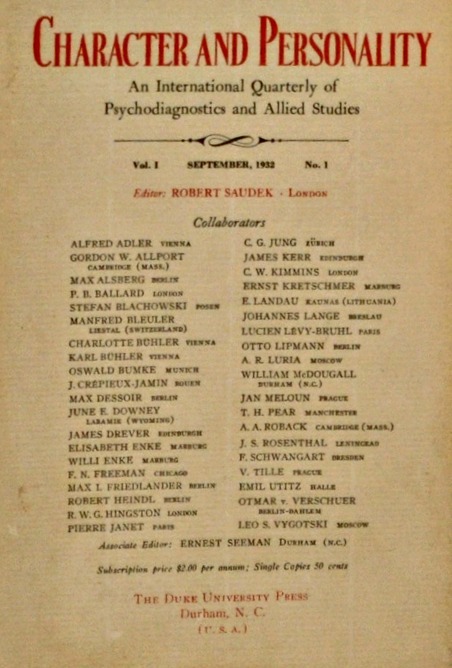 On the 8th of September 1932, The first volume of 'Character and Personality: An International Quarterly of Psychodiagnostics and Allied Studies' was published by Duke University. 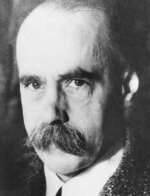 Devoted to 'scientific contributions bearing directly or indirectly on the diagnosis of human behavior, in its individual and group deviations, typological characteristics and idiosyncrasies,' the journal was supported by, and included contributions from, such luminaries as Alfred Adler, Pierre Janet and Carl Jung. 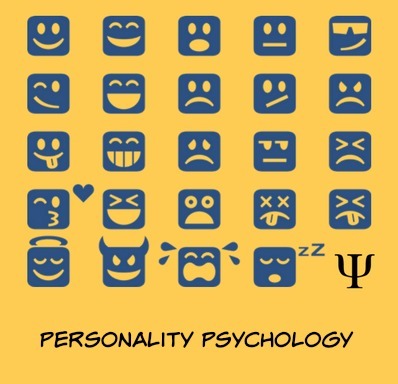 In 1945, Character and Personality: An International Quarterly of Psychodiagnostics and Allied Studies changed its title to the Journal of Personality. Cardinal Traits: Rare but powerful determinants of a person's behavior. Central Traits: Influential and common to all but not direct determinants of behavior. Secondary Traits: Also common to everybody but highly situation specific so not influential in every context. 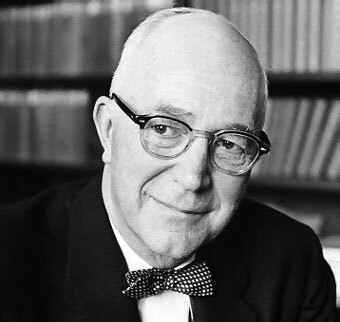 Allport spent the majority of his academic career at Harvard University during which time he also became renowned for his groundbreaking social psychological research into a range of topics such as rumor, religion and particularly the nature of prejudice, which was the title of Allport's landmark book on the subject first published in 1954. 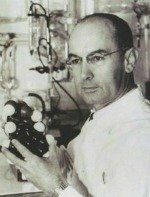 See following link to read this classic article by Gordon Allport in full for free. Is the Big Five a theory? What is the difference between the terms Big Five, Five-Factor Model, and Five-Factor Theory? Where can I learn more about the Big Five? Where do I get the Big Five Inventory (BFI)? 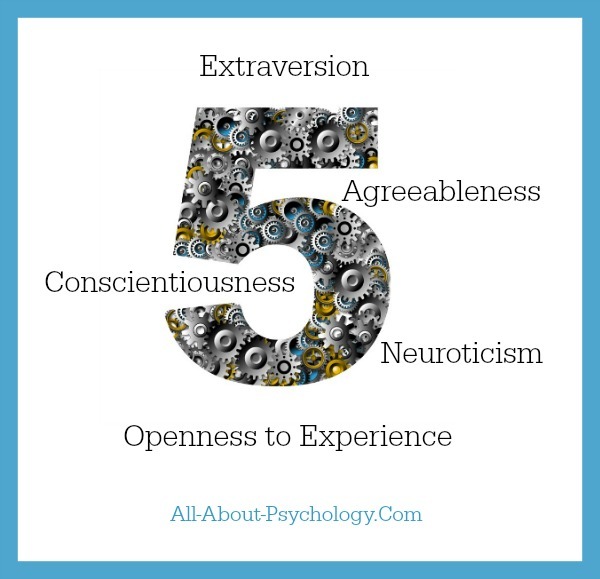 What are other ways of measuring the Big Five? 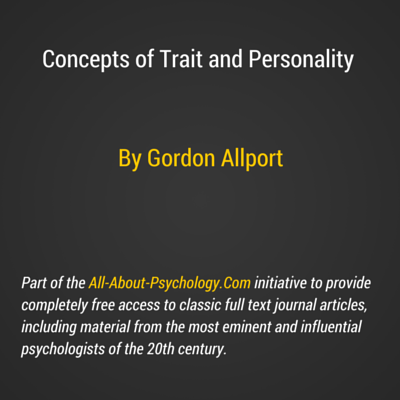 CLICK HERE To Access This Comprehensive Personality Theory Resource. Very thorough information portal provided courtesy of William Revelle, Professor of Psychology at Northwestern University, Illinois; the aim of which is to "guide the interested student, researcher or serious layperson to recent developments in the field of personality research." CLICK HERE To Explore The Personality Project Website. How does your personality shape your life and what, if anything, can you do about it? Are you hardwired for happiness, or born to brood? Do you think you’re in charge of your future, or do you surf the waves of unknowable fate? Would you be happier, or just less socially adept, if you were less concerned about what other people thought of you? And what about your "Type A" spouse: is he or she destined to have a heart attack, or just drive you to drink? In the past few decades, new scientific research has transformed old ideas about the nature of human personality. Neuroscientists, biologists, and psychological scientists have reexamined the theories of Freud and Jung as well as the humanistic psychologies of the 1960s, upending the simplistic categorizations of personality "types," and developing new tools and methods for exploring who we are. Renowned professor and pioneering research psychologist Brian R. Little has been at the leading edge of this new science. In this wise and witty book he shares a wealth of new data and provocative insights about who we are, why we act the way we do, what we can - and can’t - change, and how we can best thrive in light of our "nature." 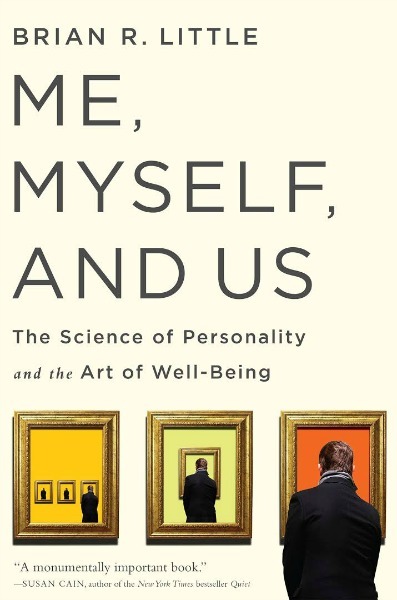 Me, Myself, and Us explores questions that are rooted in the origins of human consciousness but are as commonplace as yesterday’s breakfast conversation, such as whether our personality traits are "set" by age thirty or whether our brains and selves are more plastic. He considers what our personalities portend for our health and success, and the extent to which our well-being depends on the personal projects we pursue.